I saw my friend Lauren’s dad making this once and I HAD to have it. 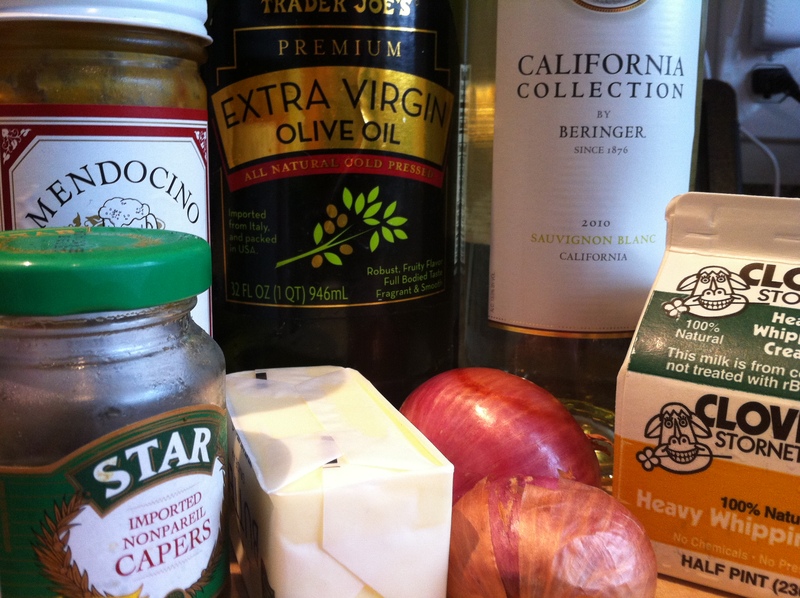 I have a severe lack of “sauce knowledge”, so I am always eager to expand my repertoire. For those picking up the “Dinner in 17-and-a-half-minutes!” cookbooks, you can pump the brakes a bit on your epic quest to discover the shortest amount of time possible to cook a half way decent meal. This one is easy, doesn’t take much time, and the bulk is all done in a single pan (yowza, you mean I don’t have to go to Ikea to pick up another 6-piece set of Teflon?). Ok, that’s a bit of a lie when you factor in sides. I never said I was a truthful lass. In a bowl, mix together the flour and some salt and pepper. Coat the chicken thoroughly and lay aside. Heat a large skillet over medium heat with the olive oil and butter until hot. 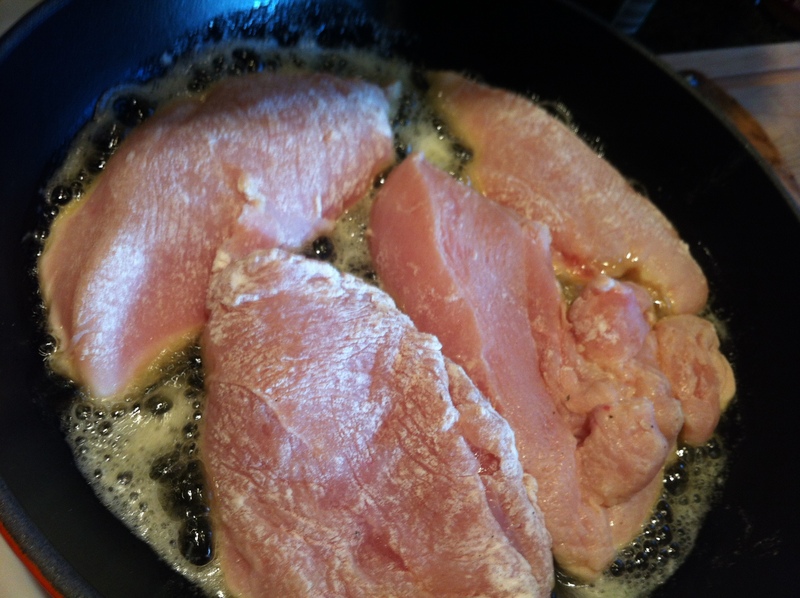 Brown the chicken until crispy, pretty, and cooked through, about 4 minutes per side (your pieces should be fairly thin). 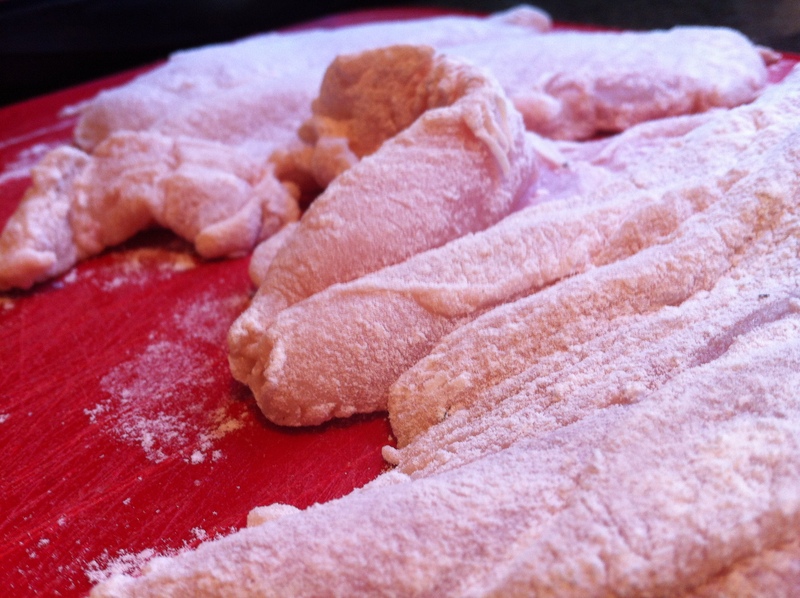 Remove from the pan and set on a baking tray; place in the oven to keep warm while you make the sauce. 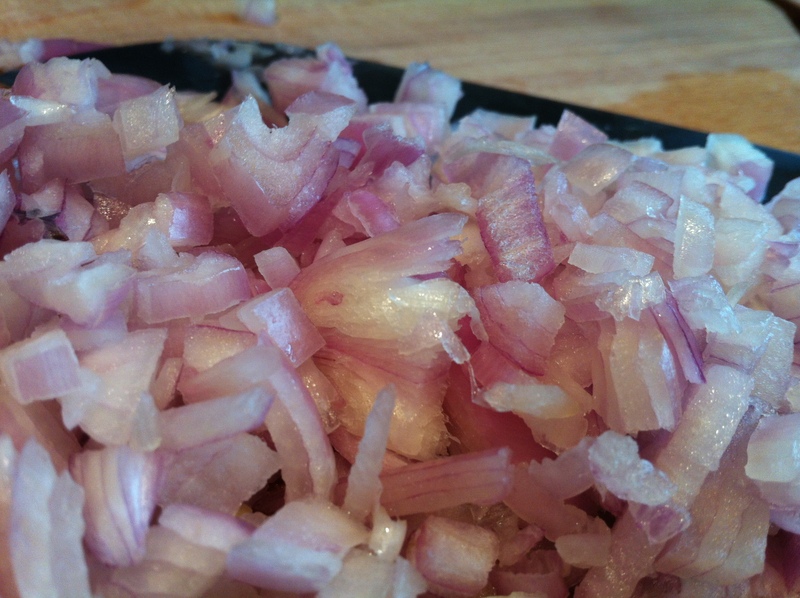 Reduce the heat in the pan to medium-low and add the shallots, using additional oil if necessary. 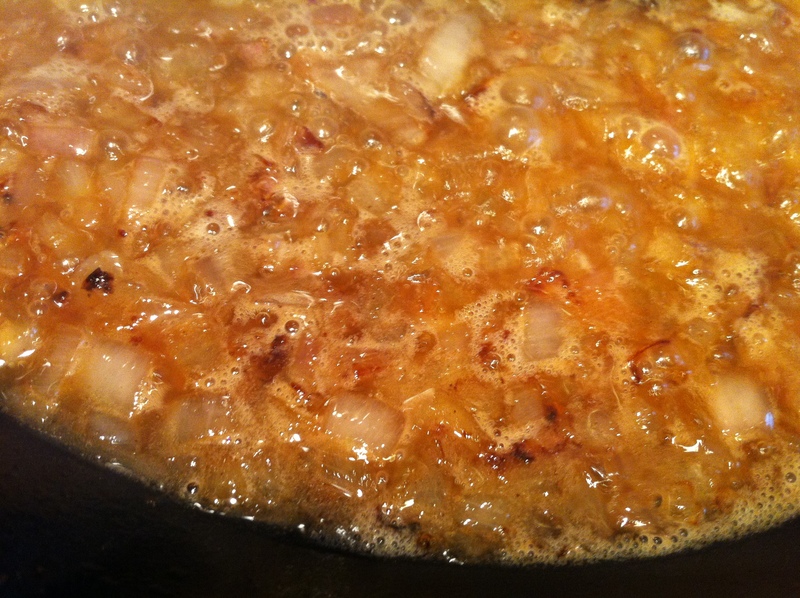 Cook about 4 minutes, until the shallots are soft (if you like them caramelized, cook longer). Add the wine and reduce for a few minutes, until there is about 3 T of liquid. 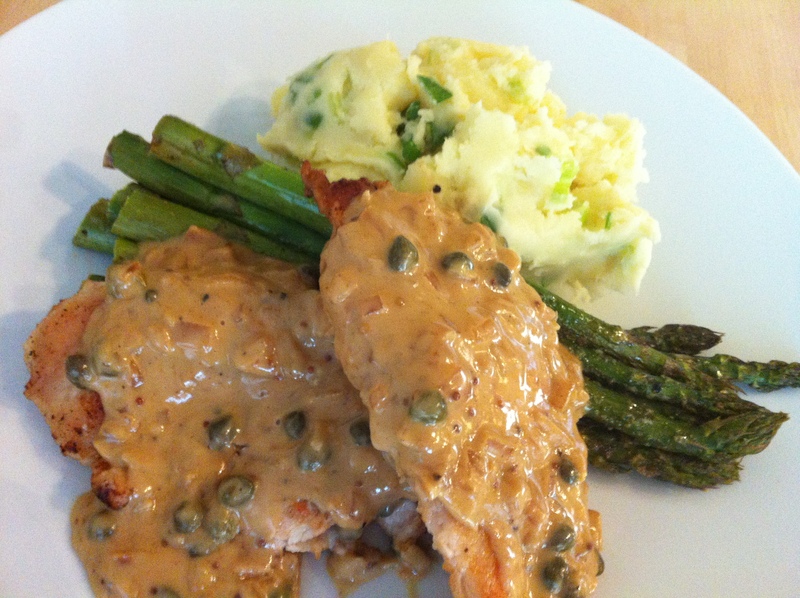 Whisk in the cream and some more S&P, turn off the heat, and mix in the mustard and capers. Take the chicken out of the oven and spoon the sauce over. I chose to have some boiled/mashed/lumpy potatoes with mine (so tasty) and a side of asparagus. And before you know it, you’ve fainted from beauty. And speaking of beauty…..
She is totally eying the chicken. Fat chance, my fluffy friend. OMG…. Elisbeth… this sounds amazing, and easy! 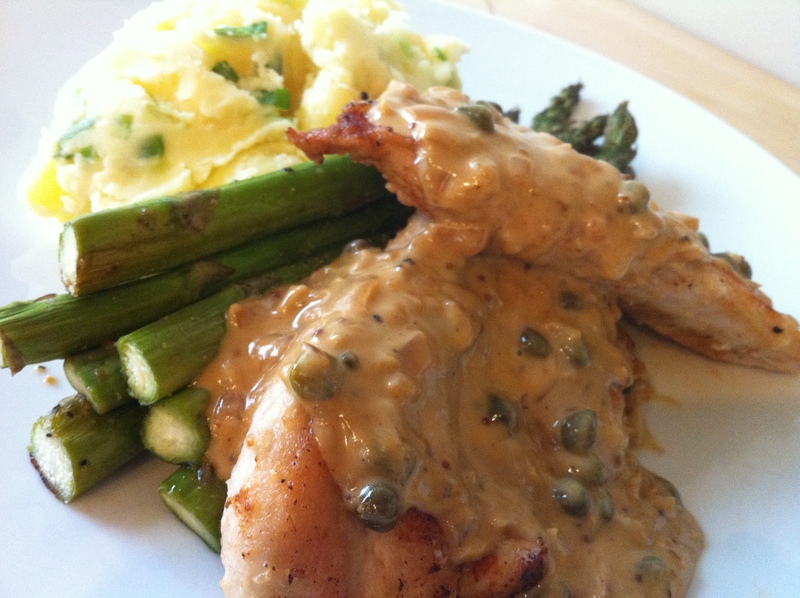 Just had (very mundane) chicken for dinner and wish I’d had this recipe 3 hrs ago. Next time! Thank you. I’m glad you’re drooling! Definitely a good one to have in the chicken wheelhouse. Let me know how it goes when you get a chance to try it! OOOhhhh looks soooo good!!! Good plating btw 🙂 – love the combination with the asparagus and potatoes!